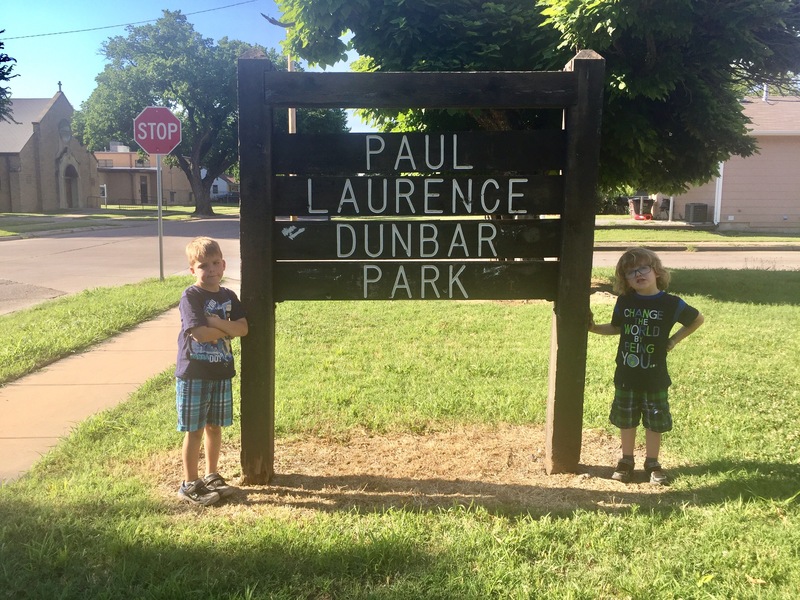 We found a jewel in Paul Laurence Dunbar Park! 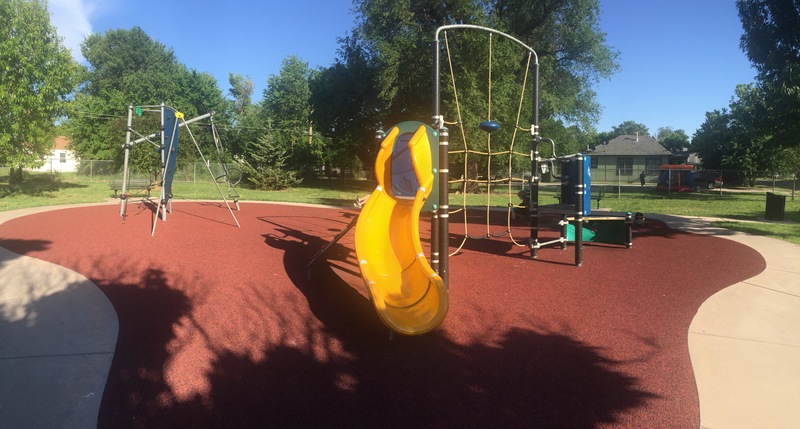 This great park is located on 11th and Indiana, in the McAdams Neighborhood. 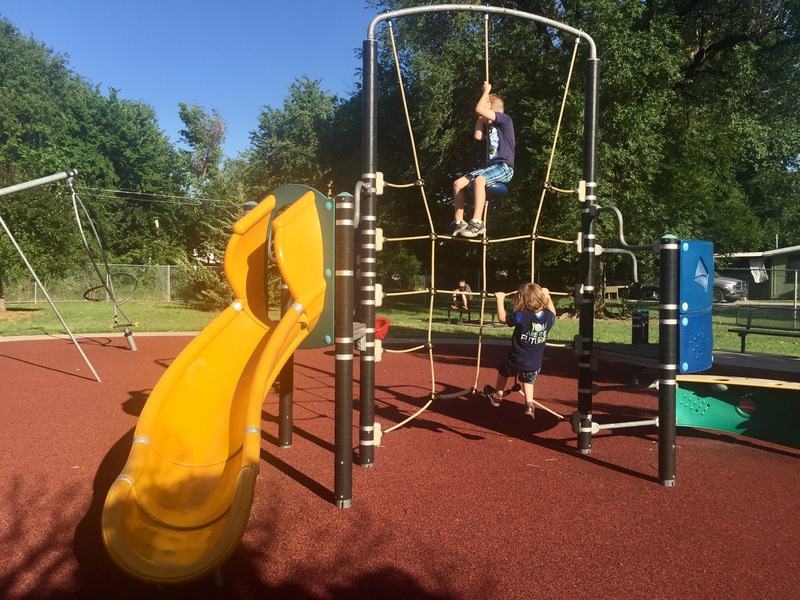 It was the cleanest park we’ve been to so far. 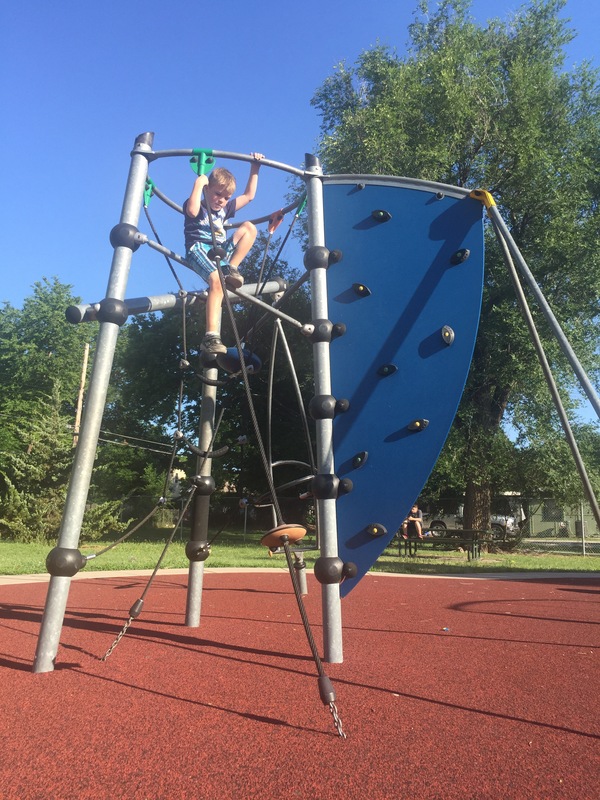 It is in great shape and there’s lots of different things for kiddos of all different ages to do! 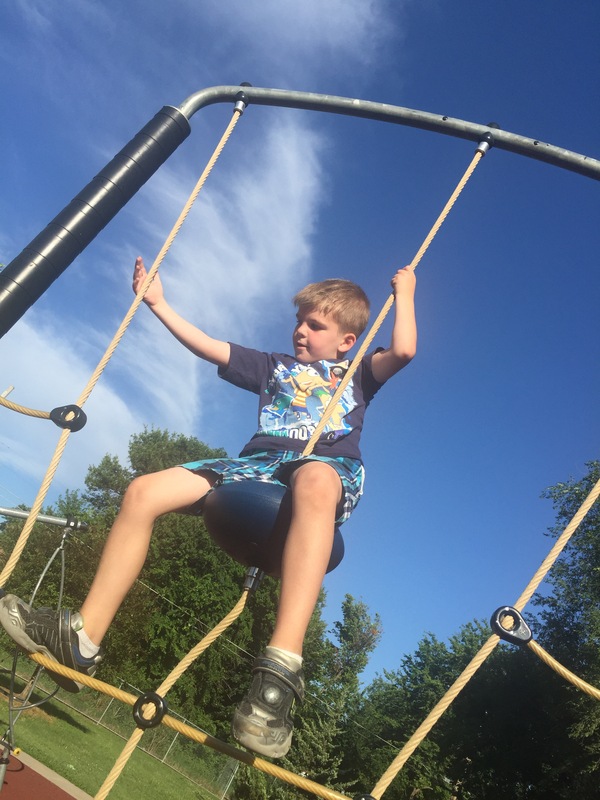 Mom Tips: Amazing park! It would be a perfect place for a picnic and play dinner. We will definitely be back!! This is in my top two fave parks so far! 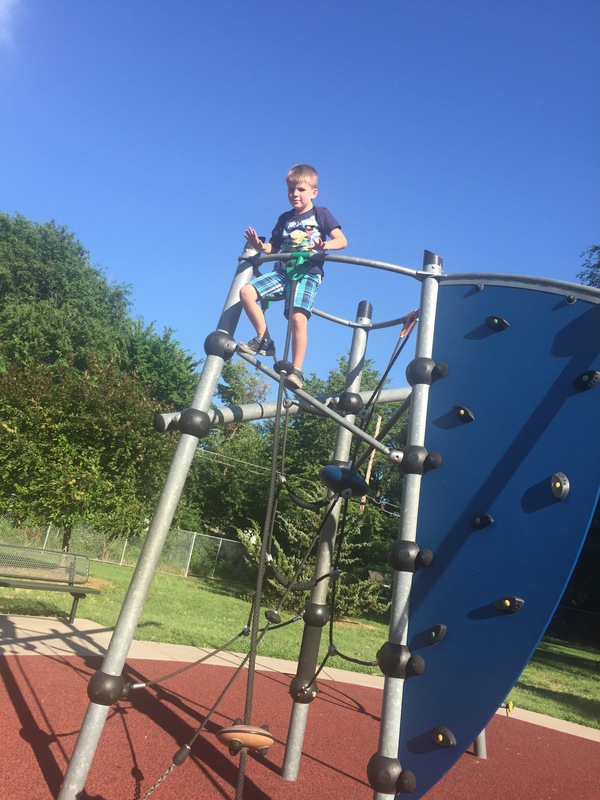 Kid Tips: Weston thought the climbing wall was awesome! He wants to come back and practice his climbing skills. 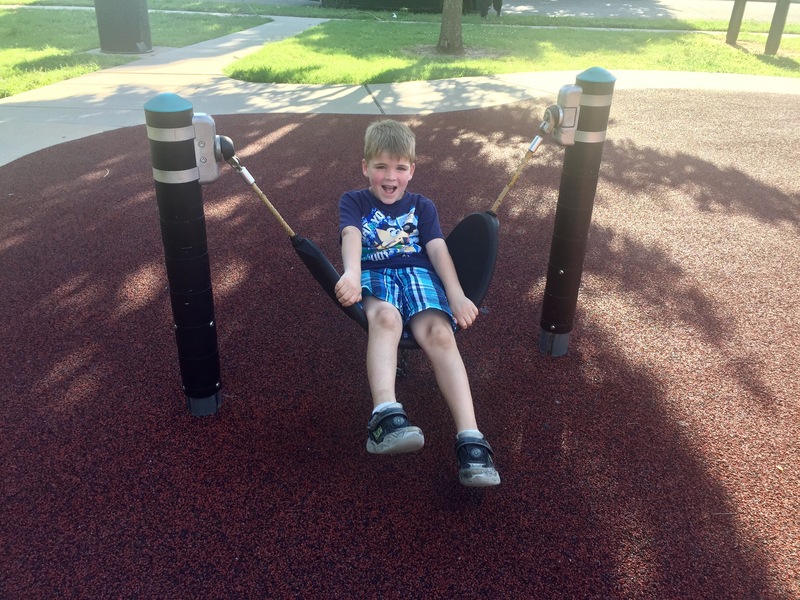 Sully thought the little swinging hammock seat was the best. They both asked to come back and play again soon!